Among variety of Vietnam Visa types and required documents, people are confused of choosing their appropriate Visa. 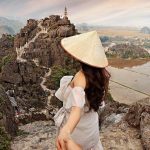 In this section, we would like to mention about The Vietnam Electronic Visa which is a new updated Visa in Vietnam. All information bellow is newest updated from the Immigration Department and we will keep you updated if there is any change. From Feb 01st, 2017, The Vietnamese Immigration Department has implemented the e-Visa ( electronic Visa) which is valid at all international Vietnam airports, Vietnam borders and seaports. 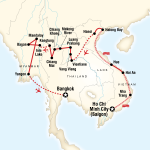 Therefore, this is a big convenience for travelers who arrive Vietnam by cruise or border crossing. 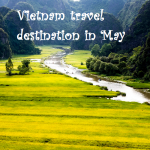 The Vietnam e-Visa includes Tourist and Business Visa which is valid for 30 days and single entry only. 2. 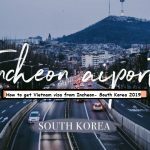 How to get Vietnam e-Visa? 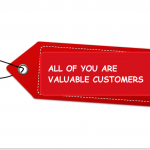 You need to fill the form online. After that, you also need to send us your passport scan + 1 photo size of passport to our email at [email protected]. Finally, you will receive the e-Visa which includes Visa Code via email after 2 working days. 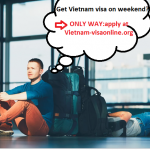 *Note: With both of 2 ways, you will receive the same e-Visa letter which is issued by The Vietnamese Immigration Department. 3. Who are able to apply for Vietnam Electronic Visa? 4. Which airports and borders accept Vietnam electronic Visa? Landports: Bo Y Landport, Cha Lo Landport, Cau Treo Landport, Huu Nghi Landport, Ha Tien Landport, Lao Bao Landport, Lao Cai Landport, Moc Bai Landport, Mong Cai Landport, Nam Can Landport, Song Tien Landport, Tinh Bien Landport, Xa Mat Landport, Tay Trang, Na Meo and La Lay. Seaports: Da Nang Seaport, Hon Gai Seaport, Hai Phong Seaport, Nha Trang Seaport, Quy Nhon Seaport, Ho Chi Minh City Seaport and Vung Tau Seaport. In case you are wondering about the Vietnam On Arrival Visa fees, please visit our quotation. Please remember that visa policies are always subject to change and as mentioned before, this article will be continuously updated to reflect any changes. Wish you guys a perfect trip in our beautiful country!